Until recently I had no idea what ‘depotted make-up’ was. Yep, I’m the girl who had missed a massive trick…until recently! Not heard of them before? Well you’re going to be so glad that you have now because their products have literally made my life – and my make-up routine so much quicker and easier. Dollup Beauty is the brain child of make-up artist and aesthetician Nikki Hynek who, like me, was not a fan of lugging around a massive make-up bag every day when it was mostly full of items she might not need or want to use. And so she created the Dollup Beauty Case which is the perfect make-up case for every day, especially for women on the go. The Dollup case is different to other make-up cases for lots of reasons, but mostly because it’s nifty and is designed to make things quicker and easier when you’re doing your make-up on the go. 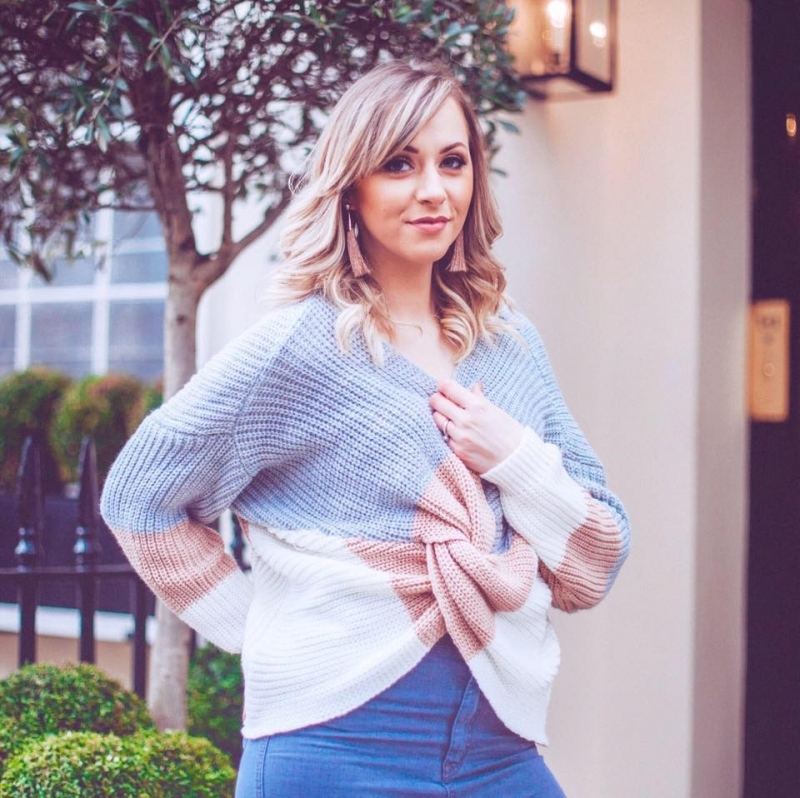 The case itself looks like a clutch bag – which I love because you could even get away with just taking this out on a night out with your friends, instead of your whole handbag! My Dollup Case is rose gold and I purposely chose this colour for that exact reason – it goes with anything and would make a fab accessory on a night out! However there are lots of colours to choose from if rose gold isn’t your thing. Inside the case, there are two sections. The first is a section for your longer tools and make-up items: your brushes, lip glosses, tubes of travel moisturiser etc. The second section is where the magic happens! When you have depotted your favourite everyday essentials, or if you’ve got loose make-up (eyeshadows, blushers etc) then you slot them in the second section and…*drumroll please*…it’s magnetic so it holds them perfectly in place! There’s no rolling around – the make-up doesn’t move at all as the magnetic back keeps everything in place. There is then a mirror in between the two sides that acts as a lid for the depotted make-up, which is handy at keeping everything still. 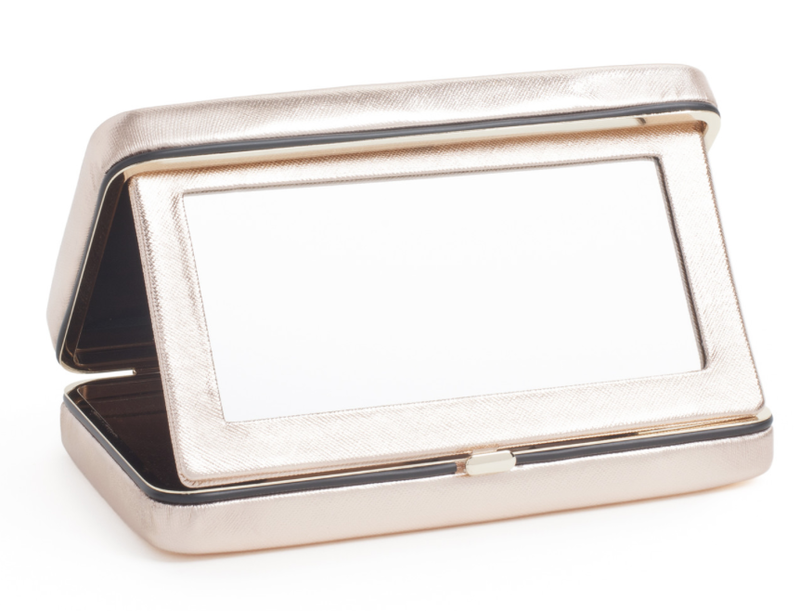 When pulled out, and positioned correctly, the mirror sits up like a travel mirror, to help you apply your make-up seamlessly. The whole case is held together by a clasp – so it looks pretty and it’s practical too! And all of a sudden you’ve gone from bulky make-up bag full of palettes and large containers, to having all of your essentials nicely organised and stored safely in one place – it’s so much easier. The Dollup Beauty Case is a great idea and perfect for those times when you don’t want to take a lot of make-up out with you. 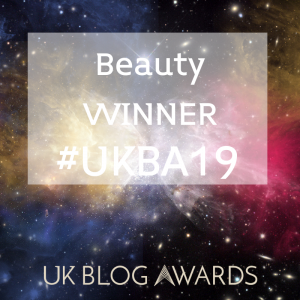 It’s perfect for women everywhere as it’s easy to use and it’s great for storage and keeping your makeup safe and snug, without risk of damage or cracked eyeshadows. Dollup also do a range of their own make-up items, that all fit perfectly in the case. However I love this case because it’s not designed to only house the Dollup own brand items. It’s designed to work with the products you need with you every day – whatever brand that may be. 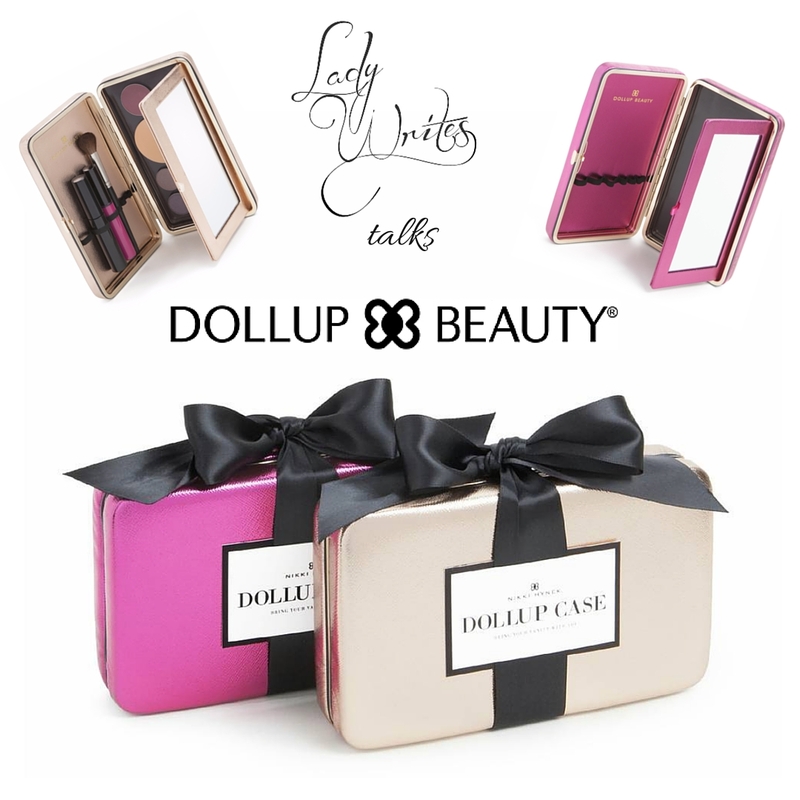 So it really doesn’t matter what make-up you use, the Dollup Beauty Case will house it all – and look gorgeous doing it! As for depotting make-up, Dollup also have a really quick and simple video tutorial on their website which really made it easy for me to depot my first few eyeshadows at the weekend. I’m not sure I’m the quickest at it yet, but practice makes perfect huh?! And with a case this pretty, I’m going to be depotting for fun, just so I can use my Dollup Beauty Case as much as possible!